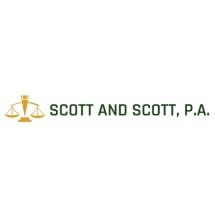 Located in Elkton, Maryland, Scott and Scott, P.A. is a family-owned law firm associated with a longstanding reputation for excellence. Since being established in 1951 by Doris P. Scott, the firm has been serving clients throughout Cecil County and the surrounding areas by obtaining top-tier results in legal transactions as well as civil and criminal litigation proceedings. The firm's tradition of success has resulted in an AV peer rating which is the highest possible rating assigned by Martindale-Hubbell. • Criminal law: We represent and protect clients in DWI/DUI charges, drug crimes, theft, assault, weapons, driving suspended or revoked, serious traffic in addition to other misdemeanor and felony cases, and actively seek criminal record protection mechanisms such as expungments. • Personal injury: We protect vulnerable clients in injury claims resulting from car accidents, motorcycle accidents, medical malpractice, wrongful death and other incidents that result in serious or traumatic injury. • Real estate law: Not only do we draft, review and negotiate purchase and sale agreements, and conduct title review, but we also assist clients with settlement of disputes, landlord-tenant law, leases, and other legal services associated with investment in real property, development or leasing. • Family law: We help clients on a personal level with issues regarding divorce, custody, child support, adoption, name changes and domestic violence. • Wills and estates: We help clients rest assured in knowing their estate is in good hands. We assist with the drafting and editing of estate planning documents including wills, power of attorney and living wills. The firm's record of success is evidenced by our repeat clients and the number of referrals we receive from satisfied clients. Doris P. Scott has long been recognized as a leader among Maryland attorneys, earning recognition and awards such as the Women's Trailblazer Award and Leadership in Law Awards. Her son, Charles L. Scott, Jr. has achieved record Cecil County, Maryland jury verdicts, including an award of $3.2 million in the case of Dorman w. Conectiv Energy, et al., Case No. 07-C-05-128. When you contact our office, you are sure to work with a lawyer with integrity and a history of substantial results. Reach us online or by telephone at 410-398-0611 (toll free at 800-655-4352) to find out how Doris P. Scott, Charles L. Scott, Jr., and Jennifer M. Chesney can help you. Personal injury cases are handled on a contingency fee basis, meaning you pay no legal fee unless we recover compensation on your behalf. Flat, fixed rates and/or hourly rates are applicable in other legal disciplines. Spanish and French language services are available upon request. Kenneth G. Lilly Fasteners, Inc.
Hance's Point Yacht Club, Inc.